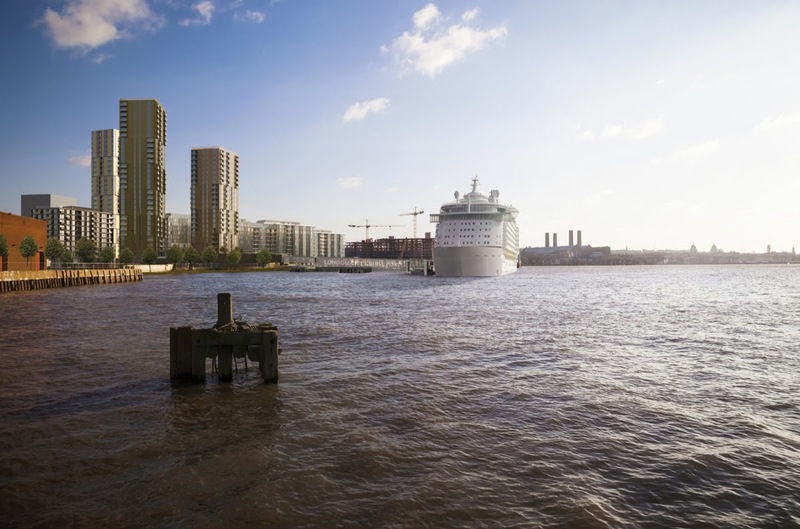 Plans for a cruise liner terminal at Enderby Wharf have been abandoned according to Greenwich Council leader Danny Thorpe. Current landowners Morgan Stanley are not proceeding with plans passed in 2015. Following a meeting between @Royal_Greenwich & @MorganStanley last week, I have just received confirmation that the #enderbywharf cruise liner terminal in #Greenwich is no longer going to be developed and will not be built out as part of the scheme. Former owner Barrett Homes had planned to build the port with no on-shore power in addition to towers and 477 homes, but sold the site after 2015. What happens now is somewhat of an unknown. Morgan Stanley may sell the site. They are not known as large housing developers. Thorpe mentions that he will press whoever developers the site to include a park – though a precedent has been set through the 2015 approval for number of homes and developers will not do so unless it financially stacks up. They are, after all, not charities. NoToxicPort have campaigned for years against the lack of on-shore power for large vessels. In place of the cruise terminal scheme a high density housing development is expected. Directly next door is Mordon Wharf, and plans for 1,500 homes will be consulted upon in coming weeks. I will cover that shortly. That’s a bit of good news! Now, they have to put this “Tesco Tower” to bed! They can (and will) reject the Tesco site plan but scraping masterplan for area leaves them less able to oppose an appeal. Likewise, 2015 approval in Greenwich means towers are still likely even with no port, and hopes of a park may be misplaced. All about the precedents. Terrific news since I first raised the pollution from a moored cruise ship with EGRA back in February 2015. Lots of help from MPs on both sides of the river in Greenwich and Tower Hamlets. I just hope now that the towers will be reduced in height as they no longer have to pay for the cruise terminal. I suspect that part of this decision climb down is that there is insufficient electricity supply on the peninsula. Hanson’s are having to use diesel generators for their new plant! Instead, cruise liners will moor on Greenwich Ship Tier – no change in pollution! The campaign will focus on that too. Been a hard campaign but hit the zeitgeist. Of international importance now. Thanks for all the coverage Murky. Check in with Laura. We might have a busy week! 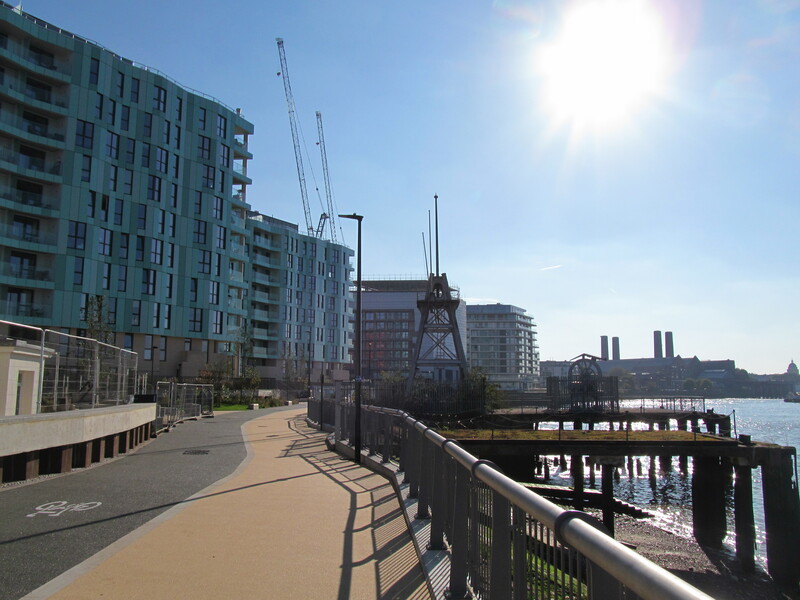 Congratulations to East Greenwich Residents and campaigners within the Greenwich & Woolwich Labour Party – led by Momentum – which fought hard to reverse the initial support given to the Enderby Wharf project by the Council leadership. There is much – much – more to be done to tackle the many other sources of the toxic air threat to the health of the community. It might perhaps be useful to talk to Enderby Wharf residents? Two or three things – pollution of course will remain and maybe increase thanks to all the tourist buses (thanks Roy for pointing that out). Thanks Murky – I didn’t know who held the planning consent and that of course is crucial. There have been some rumours over the past year about bidders for the site – and some of them very unlikely to build the terminal. Meanwhile Enderby Group is continuing to talk to those concerned about plans for Enderby House and to extend that to the viable jetty and some of the open space (and the new art work). There is nothing on the Barratt estate in the way of amenity for residents and that needs to change – and their views need to be heard. We should start looking at the peninsula area as a whole and see what can be done for the comunities there, particularly where original obligations have vanished under calls for more and more housing. It is also very interesting to suddenly see all sorts of people claiming a role! or perhaps I just didn’t notice them being around at the time.